Tso Moriri lake in Changthang region of Ladakh is one of the most beautiful, calm and sacred (for ladakhis) high altitude lakes in India. In fact, it is the largest high altitude lake in India that is entirely in Indian territory. This beautiful blue pallet lake is about 7 km wide at its broadest point and about 19 km long. Being part of the wetland reserve under Ramsar site, it is actually known as Tsomoriri Wetland Conservation Reserve. You cannot pitch any camps near Tso Moriri or construct any stay option near the banks of the lake. It is the highest Ramsar site in the world. The place is full of flora and fauna is found in the region. Since it is near to the Line of Actual Control, you need to get Inner Line Permit to visit Tso Lake, both as an Indian as well as a foreigner. How to plan a trip to Tso Moriri lake? The beautiful multi-shades of blues offered by this lake along with a picturesque landscape around gives this place an extremely romantic and breathtaking feel. However, in reality, the place is harsh and difficult to survive especially in winters. There is only a couple of cemented accommodation available around the lake in the form of homestays and the facilities like electricity, medical aid, hot running water, western toilets etc. are luxury in itself. The lack of oxygen makes survival difficult if your body is not properly acclimatized to its high altitude and hence, one need to plan his/her journey extremely carefully so as to avoid acute mountain sickness. So, even though you might feel tempted to include Tso Moriri in your trip to Leh Ladakh, it is important to plan your trip to this high altitude place properly. This travel guide will help you with it. Tso Moriri is located about 240 KMs from Leh town of Ladakh district in Jammu & Kashmir. You cannot make a day trip from Leh to Tso Moriri lake as it will be very hectic and not worth it. Hence, you should plan for a two day trip to Tso Moriri from Leh. Tso Moriri lake is one of the high altitudes lakes of India at a staggering altitude of 4595 Meters or 15075 Feet, yes higher than Pangong Tso. In general, the best time to travel to Tso Moriri lake is in the summer months when Ladakh peak season is in full flow. Similar to what we learned about the best time to travel to Leh Ladakh, in the months of January to March, lake Tso Moriri remains mostly frozen, extremely cold conditions with no options to stay around the lake. Apart from some homestays at Korzok, Chumathang is the next best bet to stay nearby this lake. In April, the lake starts to melt and starts transforming into the beautiful palette of multi shades of blue colors. Then, May to August is the peak tourist season but as compared to Pangong Tso it gets less number of tourists. The tourists start to reside as cold starts to set in and accommodation tents pack up which are near to the lake. IMO, this is by far the best time to visit Tso Moriri and see the full glory of beautiful shades of blue color in the lake. The colors are purely magical at this time of the year and with less number of tourist comparatively, you get better deals and enjoy more. After mid-October up to December, all the accommodation packs up and the only nearest place you can stay is either in some homestay with basic facilities to fight the harsh cold temperature at Tso Moriri. You can also find some homestays in Nyoma village and a guest house in Chumathang. Both Nyoma and Chumathang are much warmer than Tso Moriri lake in winter months. Nyoma has few guest houses having slightly better facilities to fight the cold and provide comfort in winter months than the ones in Korzok. Similarly, Chumathang has Hot Spring Guest House and due to the presence of hot springs, Chumathang itself is quite warm and lower in altitude. If the sun is shining and you do not mind the hard cold winters, then you can make the day trip to Tso Moriri from Chumathang or Nyoma to see magical shades of blue color at this lake. However, do not forget to check the weather conditions before leaving from Leh. You can reach Tso Moriri from Leh by road via Upshi – Chumathang – Mahe route. Tso Moriri Lake is also connected from Pangong lake directly by Chusul – Tsaga La – Loma – Mahe route. You can also travel to Tso Moriri lake from Manali Leh Highway via Tso Kar – Puga – Sumdo route. The diversion point to Tso Moriri from Manali Leh Highway is Debring just before Tanglang La pass. However, this route is mostly used to exit from Tso Moriri towards Manali rather than the opposite. You can read the reasons on not to visit Tso Moriri lake from when coming from Manali to Leh. You can cover Thicksey, Hemis, and Shey monasteries while going through this route if you haven’t covered them earlier while going to Pangong Tso. This route provides the best road conditions of all other routes. So, if you are one of those who prefer relaxing vacation and does not want to rush through places then, I will suggest making a two day trip to Tso Moriri lake via this route from Leh. Of course, I assume your body has been acclimatized properly by staying for a couple of nights in Leh and spending a night or two in Nubra Valley as well before attempting to sleep near Tso Moriri or Korzok. If you are short on time then you can also exit towards Manali from Manali – Leh Highway from Tso Moriri via this route only but you need to ensure that you have enough fuel to cover about 550 km without any fuel pump. You can go to Tso Moriri from Pangong Tso directly via the remote and ever beautiful Changthang region. The drive between Pangong Tso and Tso Moriri is one of the most beautiful drives in the whole Ladakh region. Foreigners are not allowed to go beyond Man – Merak Villages as permits are not issued to them for this route. Hence, they need to follow the indirect, slightly longer route to Tso Moriri from Pangong Tso. A special permit to cross Chusul is required from Leh DC office in order to travel on this route. You need to make sure you carry fuel for about 550 – 600 KMs because you will be covering Leh – Pangong Tso – Nyoma – Loma – Tso Moriri – Leh without any other petrol pump. And if you want to exit Ladakh through Manali – Leh Highway from Tso Moriri then also carry petrol/diesel for about 650 – 700 KMs as the next petrol pump will be available at Tandi. Otherwise, you need to come back to Karu or Upshi, refill and move back again towards Manali – Leh Highway. The indirect route that goes from Chumathang is the longer one, where you need to go all the way back from Pangong Tso to Leh up to Karu and from there you can take left towards Upshi – Chumathang – Korzok to reach Tso Moriri. This route can be followed by foreign tourists who are not allowed the permit for Changthang (Man – Merak – Chusul etc) region if they do not want to go back to Leh. But, IMO one must go back to Leh from Pangong Tso, refresh themselves and start towards Tso Moriri next morning instead of the very long day via Chumathang. Of course, you can plan the route from Tso Moriri to Pangong lake but in general it does not fit in the overall plan because of acclimatization and loosing the opportunity of exiting via Tso Moriri to Sarchu to Manali route. Do not forget to refill petrol/diesel at Karu or Upshi petrol pump and if you want to exit Ladakh through Manali – Leh Highway then also carry petrol/diesel for about 500 – 550 KMs as the next petrol pump will be available at Tandi. The higher ground clearance vehicles are preferable and 4×4 ones would definitely be helpful especially between Pangong Tso and Tso Moriri via Man – Merak – Chusul – Nyoma (Changthang) route. However, for the general route from Chumathang, quite a few people do it in hatchbacks and sedans as well which depends upon your skills to drive and road conditions at the time of travel. In general Leh to Tso Moriri road condition via Upshi – Chumathang route is good enough for any type of the car including hatches and sedan. It is always recommended to carry these important spare parts when you drive to Ladakh. Generally, when you plan a trip to Tso Moriri, then at least a one-night stay is recommended to truly witness the mesmerizing beauty of this blue colored lake. Of course, one night stay will help you watch sunrise and sunset over the picturesque landscape and increase the charm of your vacation to great extent. As it will take you about 8-9 hrs to reach Tso Moriri from Leh, it does not make any sense to go there, touch it and come back in a single day. Also, you miss a chance to take Tso Kar – Taglang La route when coming back to Leh from Tso Moriri. If you plan to exit Ladakh from Tso Moriri to Sarchu to Manali route, then plan for a three day trip with night halts at Tso Moriri and Sarchu before reaching Manali from Leh. You cannot find accommodation on the banks of the lake because it is restricted to pitch the camps there being a Ramsar site wetland reserve and sanctuary for migratory birds. You can pitch the tents near the other tented colonies pitched just before Korzok village or find an accommodation in Korzok village. Both ways you will definitely have a clear and broad view of the 24 KM in length, 6 KM in width this magnificent blue colored high altitude lake. For a comprehensive list of accommodation options or hotels or camps around Tso Moriri lake, you can refer these good Tso Moriri hotels or accommodation options to stay. The nearest basic medical health center may be available at Korzok Village though I am not that sure about it. You can get basic first aid including Oxygen doses at some of the tents/camps, I guess else you can carry your own oxygen cylinder from Leh with you. Being a remote place, you will either be eating in the homestays at Korzok Village or at the camps/tents near Korzok in which you might be staying overnight. 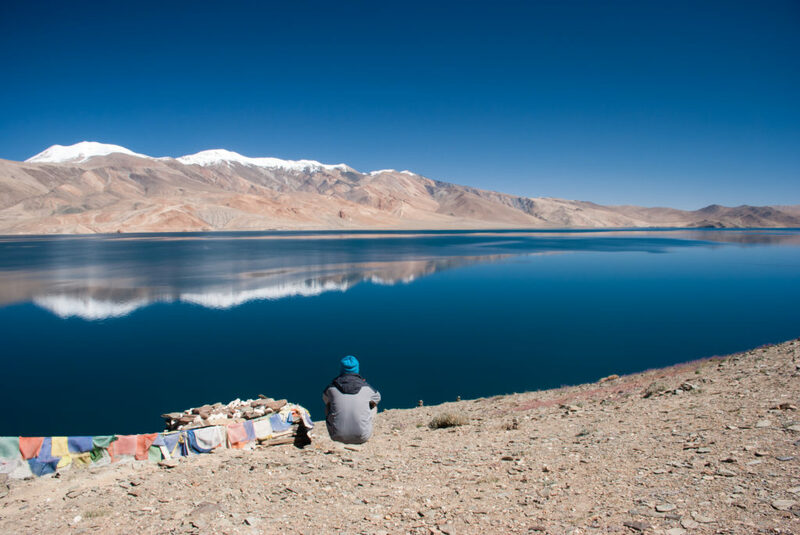 The options of eating places at Tso Moriri lake is fairly limited to the homestays and camping sites available Korzok. 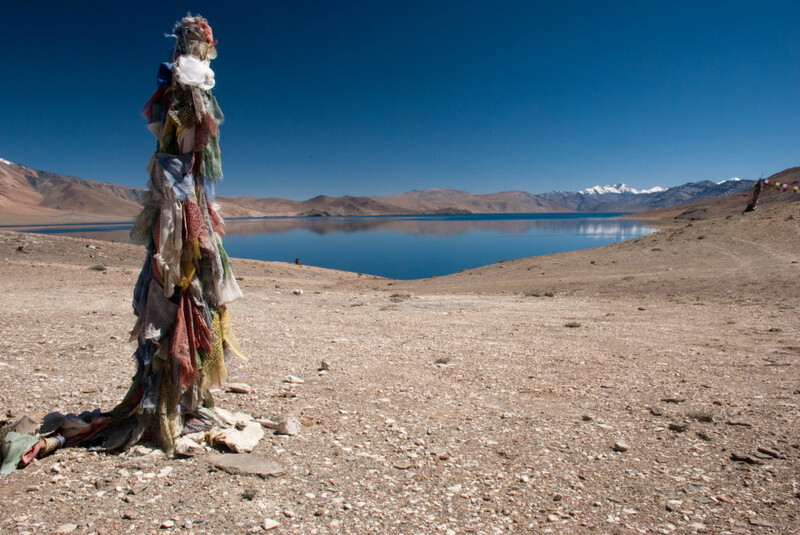 You will not find any phone or mobile signals at Tso Moriri lake. Only post paid connections work in Leh Ladakh and BSNL has the widest coverage followed by Airtel and Reliance Jio. Nearest Petrol Pump is at Karu (about 204 KMs) from Tso Moriri and comes on the way to Tso Moriri from Leh. I will suggest that you top-up the fuel from Leh itself and then drive/ride up to Tso Moriri. In case you are planning to exit from Manali Leh Highway, do not forget to carry spare fuel with you so that you make it to Tandi. The overall distance that you will be covering without petrol pump will be 550 KMs on Leh – Tso Moriri – Sarchu – Manali route. You will not find any ATMs near Tso Moriri lake and hence, it is always better to carry cash from Leh (the only place where you find ATM in Ladakh) itself. What is the taxi fare for Leh to Tso Moriri? As per taxi union rates of 2018, a two day trip from Leh to Tso Moriri taxi fare is Rs 14283 and Rs 29056 for a three-day trip from Leh to Tso Moriri to Manali. Can I travel from Leh to Tso Moriri by bus? There are three buses that travel from Leh to Tso Moriri every 10th, 20th and 30th day of the month. The Leh to Tso Moriri bus leaves at 6.30 AM on these dates from Leh bus stand. You can read all about Leh to Tso Moriri lake bus service. Which one is better to visit between Tso Moriri or Pangong Lake? If I have to choose between Pangong Lake or Tso Moriri, I will personally visit Tso Moriri lake every time just because of its raw nature and less crowd or less commercialisation. However, if you are visiting Leh Ladakh for the first time, you should visit Pangong Lake because it is something that you should not miss on your first trip to Ladakh without regretting. Can I make a Tso Moriri to Leh trip in a single day? Tso Moriri lake is one of my favorite places to visit in Ladakh, sometimes I feel it is much better than Pangong Tso lake. 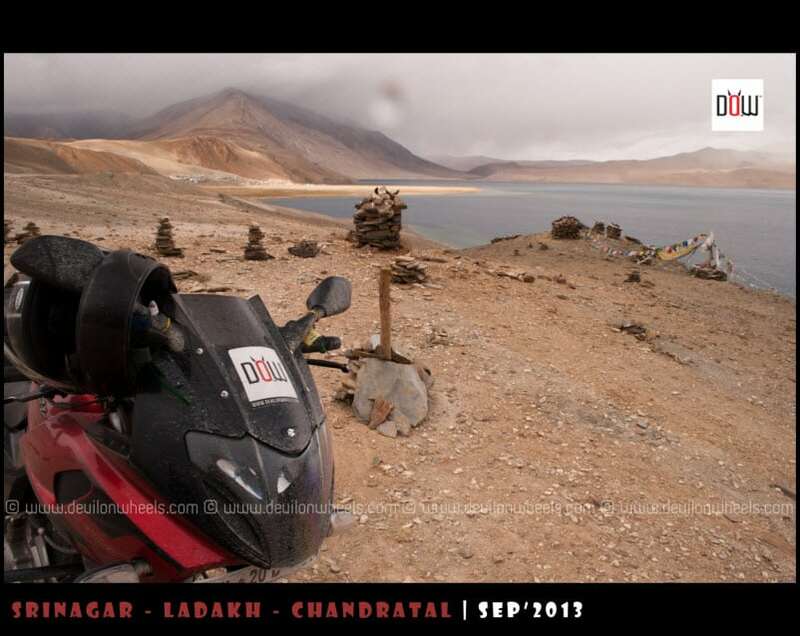 However, for the first times in Ladakh, I am sure Pangong Tso is something that they should not miss. I hope this travel guide of Tso Moriri lake helps you plan your trip successfully. Please feel free to post any queries or doubts you might have in planning your trip to Tso Moriri place in the comments section of this article. If you have been to this lake, kindly share your thoughts and other information you might feel will be worth sharing with other fellow travelers and prove helpful to them. Hi Sirjee, I have gone thru your valuable informative posts and researched outside also, can you help me which is good for spending a night in terms of Quietness & less crowded & convenient stays & better night sky whether will it be Tso Moriri or Pangong lake. If I factor in all these things, then I will go with Tso Moriri. You will need to make 1 day trip to Pangong Tso and 2 day trip to Tso Moriri. In case you are making 2 day trip to Nubra Valley, you can club Nubra Valley with Pangong Tso and take direct route from Nubra Valley to Pangong Tso and spend night at Pangong Tso as well. This was in 3 days you visit Nubra Valley and Pangong Tso and then 2 day trip to Tso Moriri. 1. Well, there are lines but not that huge. I have been able to get the permit maximum in an hour in all 8-9 trips I have been to Ladakh. 2. Then you do not have any day to visit Pangong Tso. I will highly suggest to add a day because you will feel fatigue that may cause AMS issues to sleep at Tso Moriri with the hectic plan. Thanks for the detailed post. One question regarding permits for foreign tourists. 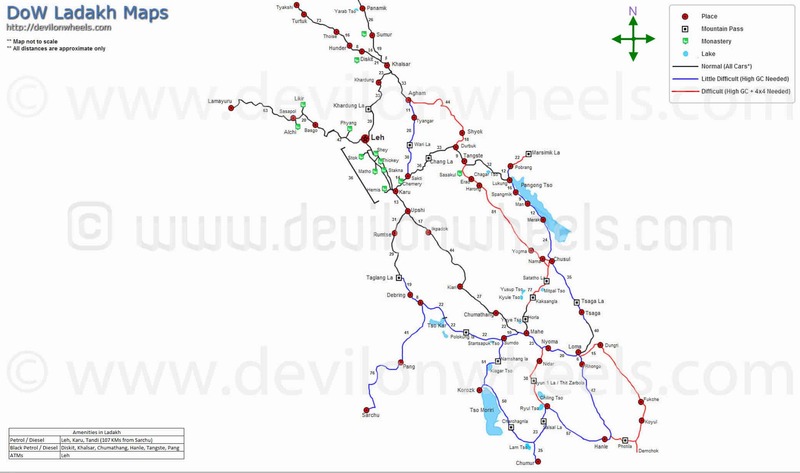 So if I don’t want to go back to Leh and opt for the direct Pangong – Tsomoriri route, the only option is to go through the longer route through Chumathang? Or is there an extra permit that can be acquired to go through Changthang? And how long does it take for each routes? Yes, you will have to take the longer route from Chumathang to reach Tso Moriri. The other direct route is only available for Indian tourists. Both routes have similar ETA with Chumathang being marginally higher. Thanks for the reply. I’m actually traveling with a group of Indian nationals from Leh to Nubra all the way to Pangong. But they are going to continue traveling to Tsomoriri through the Changthang route so I have to part ways with them in Pangong. Is it easy to hitchhike a ride back to Leh from Pangong? And where and what time is it best to look for a shared taxi back to Leh from Pangong? There will be plenty of tourists and taxis present at Pangong Tso, You will have to weigh in the options upon reaching there and talking to people next day around the lake or campsites. Hitch hike is another adventure but I feel with such large tourist footfall, there is very high probability of getting a ride back to Leh. Shared taxis one way is not that common, so you have to rely upon hitch hikes mostly. Then I will go to manali…Can you give some Itinerary Suggestion ,thanks you. Lee, how mnay total days do you have in hand? 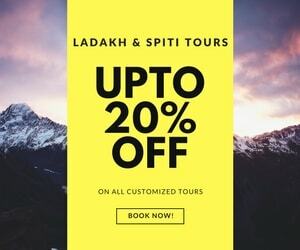 I Will suggest to skip Zanskar and do Ladakh on easy pace as per the very balanced and most common itinerary for Leh – Ladakh followed by many travellers including me at the link here for 13-14 days: Most Common Itinerary for Leh – Ladakh. I am traveling to Leh on 1st October by flight and my return flight is on 6th. I just want to know right now I am have planned to cover Nubra and pangong. To cover Tso Moriri I will have to change my return flight for a day later. Pls advice the weather in first week October and whether it is worth to spend the money to change flights. I just want to know the accommodation facilities in Tso moriri. I read your article. The camps would be wrapped up and it would be very cold so pls suggest what I should do. Weather will be cold and quite cold in morning/evenings at Pangong Tso and Tso Moriri. I will suggest to keep the plan simple and skip Tso Moriri for now. Most of the camps do wrap up in September and hence, you will have to stay at home stays. 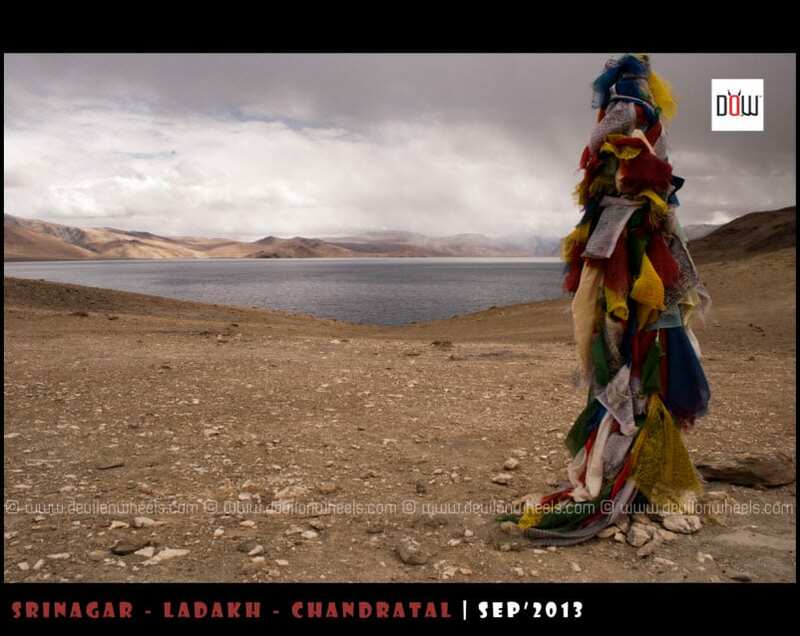 Hi, We have prepared an itinerary for Leh – Pangong Tso – Chusul – Tso Moriri – Leh in 3 days. Kindly accord whether these routes are OK.
We are traveling on Aug 20,21,22 2017 through this route. The major concern for this route is fuel as it is very long travel of around 650kms. with only petrol pump at Leh. We will rent Bullet 500 which has 13.5 ltrs. tank only and load will be of driver + pillion + one travel bag. Suggest what mileage we can expect on this route with Bullet 500 and also how much fuel extra we have to carry, is it feasible to carry so much fuel while driving through dirt roads? Routes are OK, needless to say, it will be hectic and I am assuming you will be well acclimatized before making this trip in Leh and Nubra Valley. Whatever mileage you get in plains, you will get about 65% of it only. You will have to carry extra fuel as well as rely on local sources for black fuel too. Do i need to rent a bike from Leh to go to Tso Moriri, or Can I go with a bike rented from Delhi? Technically, yes. You should rent the bike from Leh only. But, early morning leaving you may be able to avoid the checkposts and then just exit via Manali Leh without returning to Leh. Hello Sir, Hats off to you for providing great details and travel insight. It is really helpful for novice tourist like me. I alongwith my two other friends coming to Leh on 3rd Sep 2017 via air and stay there till 9th Morning and planning to rent bike for touring Leh. 1. Is Plan B feasible in first week of Sep 2017. 2. Where all can i find petrol ( Petrol Pump or black petrol) on this route. of 12 lit we will require 26 lit of petrol in jerry can. Is it feasible to cary such large amount of petrol on bike. 4. Is there any current update to Agham shylok road & Merak – Chusul – Nyoma route about both road conditions. 1. I do not see any Plan B though your plan is feasible but hectic a bit. Sayantan here, Sakshar’s friend. Have one question. How’s the road condition between Tso Kar and Tso Moriri. You mentioned its off road, which is fine with me. But I’ll be travelling in my small car (Renault Kwid) and is it recommended to take this route (in September) ? On the plus side, if I manage to cross, I can save time and avoid crossing Tanglang la. How are you doing Sayantan !! No major ground clearance challenge at on the road from Tso KAr to Tso Moriri. Since it is like a dirt track, it will just lower the speed down so that you do not get a puncture. Doing good! Thanks a lot Dheeraj for your reply. – While returning from tso moriri , we plan to take sumdo-debring route as we plan to return to Manali. from there. How’s the road condition and enfield 500cc can get on this route ?? – pangong or tso moriri ?? Which is better. ?? I know tso Moriri attracts less crowd cuz of distance. We are surely going to tso Moriri but is pangong worth visiting ? Kindly advice. – we ll be carrying our tent. We won’t pitch it near lake. But we can put our own tent ?? – important question, in your experience how often you ve witnessed Tyre puncture ?? 2. Between Pangong Tso and Tso Moriri, well, Pangong Tso is more touristy and big while Tso Moriri is more secluded and a bit smaller. Hey Dheeraj, We are planning Leh trip in June end. But I am confused when it comes to packing due to insufficient information related to climate and temperature at that time. Can you please check my itinerary and guide me? Most of the time we are travelling by car, May be for a day we will hire a bike. Dheeraj, one more thing pls. Can you advise me on what kind of woolens I need to carry for day time in last week to June to 1st week to July? At nights we will be staying in hotels so no concern for cold nights but for daytime I am not sure. Pls keep in mind that I will cross Khardungla in daytime. Since you will be riding a bike, I will suggest that you prepare layers of clothing. You should have a heavy woolen jacket or rider jacket followed by a layer of a light woolen jacket. Windcheater is a must for one of the layers, either front or inner. I am planning to visit Tso Moriri but heard that the road is under construction. I spoke to a hotel in Laddakh who said vehicles can go but I am skeptical if it is advisable for me as I am travelling alone with wife on our royal enfield. Pls suggest. Harshit, if you are planning the trip in June – July, the road might have got damaged for few days but should be open unless there is a fresh landslide. There is no major blockade reported by anyone to Tso Moriri. If the hotel guys are saying vehicles are going, they should be. May be you can contact some of the local drivers List of Taxi Drivers for Ladakh – Srinagar – Leh – Manali who does these routes. I’m planning to go to Tso Moriri from Pangong Tso via Chushul on the 26th of June 2017. Will be traveling in an Innova taxi with a local driver. What will be the road conditions like and how long does this route usually take? Usually, the road is mostly dirt track with bumps almost up to Tsaga village from where the tarred road starts. Is it possible to do Leh – Karu – Upshi – Kumdok – Kere – Chumathang – Mahe – Sumdo – Karzok on a 150 Cc Hero CBZ Xtreme bike ?? Also share do’s & dont’s if any ? Yes, this route can be easily done on a 150cc bike. IF you are looking for economic stays then you will have to do on spot booking only as over phone stays at Tso Moriri are costly. Is there any problem … to get there on self drive rented vehicle…. ? Cz there is no option left….otherewise we have to get back to leh …this will consume a day for us …so is it risky to go there by your self drive rented vehicle ? And what about accomodation in sarchu???? You can try it out, in case the local drivers up there creates a nuisance, you can gracefully resolve the dispute and agree to go back to sleep at Tso Kar lake from where you can go to Sarchu – Manali next day. I want to travel leh to tsomoriri to leh from 28th may to 4th June on bike rented from leh. Is that possible? Will roads be open? Yes, you can travel to Tso Moriri from Leh in last week of May. Please keep in mind that Tso Moriri will be still cold in May end. Please let me know what is the difference between Tsomoriri Camps and Tsomoriri Resorts in terms of facilities. For a 1 night stay during Sept’17 which one will be preferrable? Baskar, one is camp made of canvas and other is just tin sheds which protect a bit more from winds. Your plan looks OK till Pangong Tso but Manali – Leh Highway may not be open by that time and you are making it too hectic towards the end of those days. Its great to have find all information about Leh at the same place. I’m travelling with my family (including my son – 10 years) as per following itinerary. Just wanted to check if this makes sense any specific you can suggest to have a relaxed vacation and avoid AMS. You have a very good and relaxed plan. Just ensure you follow the general tips mentioned under the article for precautions for AMS and you should be good to go. Well, you should not stay at Pangong Tso as it will be too cold, so stay at Tangtse about 34 KMs before Pangong Tso. Same is true for Tso Moriri lake. Stay at Chumathang. Go prepared well with heavy woollens to make sure you combat cold. Thanks Dheeraj, also wanted to check if Nubra Valley hotels would be open at the time (end April)? For the Pangong Lake and Tso Moriri, it is worth visiting if we are not staying there and they would be frozen and too cold? Yes Mohit, some of the guest houses and couple of hotels will start opening up in Nubra Valley by end of April. Well, yeah, you can still visit the lakes and spend more time before return back to bases like Tangtse for Pangong Tso or Chumathang for Tso Moriri. The journey will also be beautiful. 10th – Pangong to Chusul. Stay at Chusul? Is this itinerary looks ok for you? Kindly provide your suggestions. Your plan looks fine to me, get the permits for Hanle and do PAngong Tso to Hanle instead of Chusul and then Hanle to Tso Moriri. Thanks Dheeraj! 🙂 Appreciate your efforts. I have one more query.Is it possible go to Pangong lake and come back to Leh within a day? Two of us have to return to Bangalore from Leh on 10th morning. If not, can we reach Pangong from Nubra directly. Will the roads be open by that time? Yes, it takes about 12 Hrs to make a day trip to Pangong Tso and many people do it. Pangong Tso – Nubra Valley road from Agham – Shyok can also be taken to save a day but keep in mind that the route is desolated and hence, you should only travel on that route if there are other vehicles accompanying you. HATS OFF TO YOU for such comprehensive information, really appreciate your time & efforts. M planning for trip to leh ladakh from Jammu and exit via manali from 10 sept tp 21 sept manali we have chosen this time based on your experience & suggestions. As we want to travel light can you please guide us regarding weather conditions at this time and clothing required. I have also posted our travel plan on DOW calendar. You should carry one light one heavy jacket at that time of the year. Rest it shall be fine in day time, so light jacket will mostly be used. Really an wonderful blog ..
i am planning 9 days trip to srinagar – leh – manali – delhi ..please advice ..
You must add one day of rest and acclimatization in Leh before going over to Nubra Valley via Khardung La pass. Also, you should know that the plan is going to be quite hectic and you will mostly be on road, so be sure to be mentally prepared for it. Thanks for reply ..is is possile to do Nubra and back to leh in 1 day ? Yes Rajesh, it is possible to do Nubra Valley day trip but it will be hectic for sure. You should have about 12 Hrs for it. Infact since you are taking Pangong Tso to Tso Moriri direct route, you will have to anyway take rest day in Leh to apply for inner line permits on that route. yes rest we will take and one more qn is is can we make like leh-nubra-pangso-tsomori -manali in one direct route in consecutive 4/5 days without returning back to leh? This way it will be a bit balanced. You will need permits to travel from Pangong Tso to Hanle from Leh DC Office.